Another week, another set of races, another set of PR’s and victories. The Runnababez continue their scorching fall fiesta this weekend. Carine kick started the festivities at the Monsanto United Way 5k. 19:45 after the gun sounded, she hit the finishline with a brand new PR and a 3rd place overall finish. Knocking nearly 30 seconds off her previous best, it was Carine’s first time under 20 minutes. As the infomercials say, “But wait, there’s more!! !” A little less than 24 hours later, Carine toed the line to race the MO Cowbell 5k. Apparently once under 20 just wasn’t enough for Carine. Her 19:49 earned her the women’s 5k title. The Runnababez weren’t done at the Cowbell though. Lisa Cary and 2500 fellow runners tackled some blustery weather and 13.1 miles of St. Charles roads in the MO Cowbell Half. 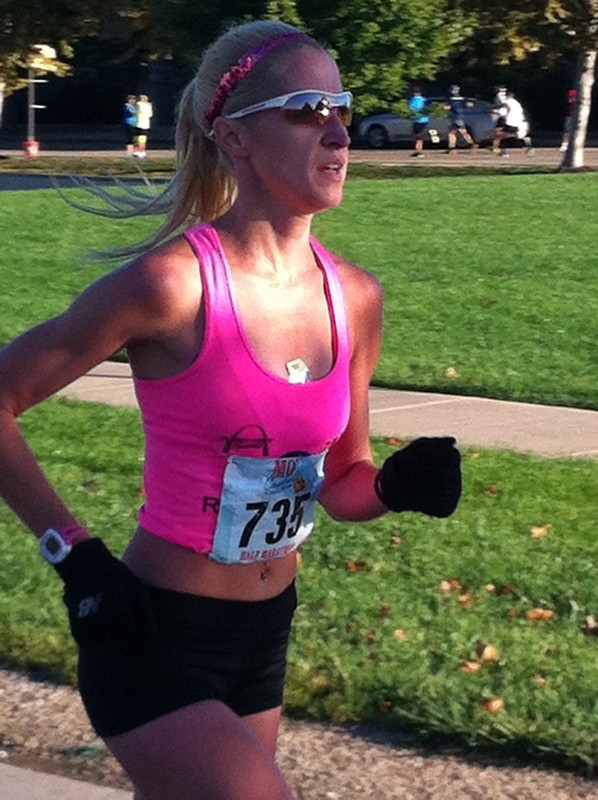 Settling into a comfortable pace in preparation for a marathon, Lisa enjoyed a fantastic run. Smiling all the way in, Lisa broke the tape in 1:23:57 as the women’s champion. Look for the Runnababez to be out and about all fall at a race near you. Next up on the agenda is the GO! Halloween races this coming weekend. Hope to see you there.